Easter is one of my favorite holidays! From the pretty pastel colors, to Easter brunch and lots of candy and flowers, it's easy to see why I love this day so much! I thought it would be fun to share some of my favorite spring dresses that I've come across while shopping in case you needed a bit of inspo for what to wear on Easter Day! I am leaning towards wearing something seersucker myself, but honestly it's so hard to decide when there are so many cute options out there right now! 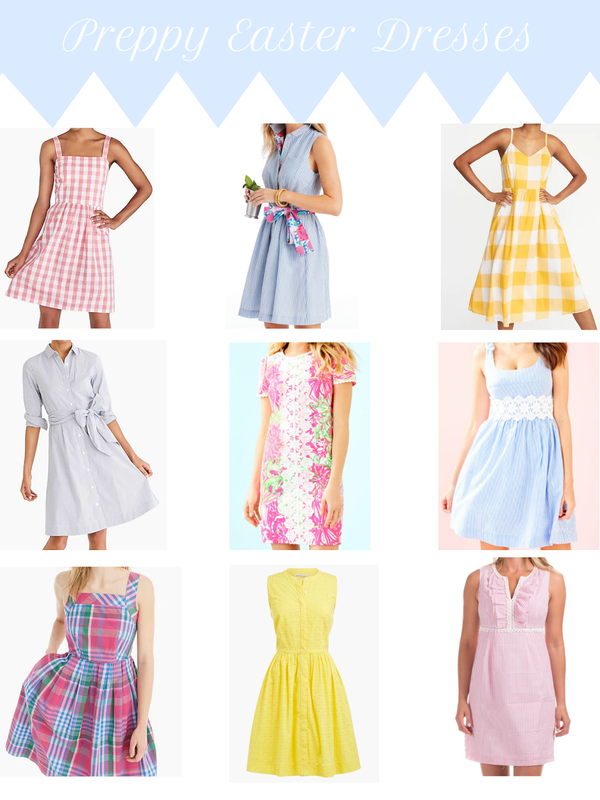 You can shop my favorite preppy Easter dresses by clicking on the links below!